If you & your family are planning to organize a small trip to India, Agra is best & very important tourist destination in India. People usually take up small trips to Agra from Delhi. All it takes is one day to enjoy Agra. Abyss Tours Inc provides you flexible car rental services for Delhi to Agra Tour by Car, Day Trip Delhi to Agra by Car and Agra Same Day Tour with all types of small to large number of groups. We specialize to provide an affordable deal for day trips to Agra. Taj Mahal is the main attraction here. Top things to enjoy here are the monument, prayer room, museum and the garden. It would take around 90 minutes to two hours to enjoy this monument. 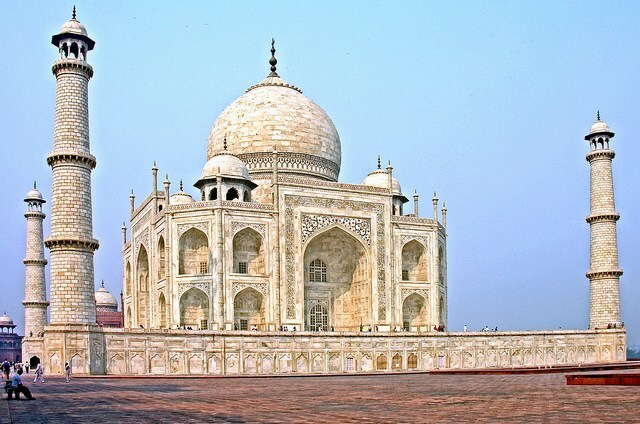 Read More: Why Taj Mahal is The Iconic Symbol of Love! This monument is considered as an antecedent of Taj Mahal. It was built by a Mughal Queen for her father. Itmad-ud-Daulah Tomb is located on the bank of the river Yamuna. It looks almost like Taj Mahal with carvings and inlay works. You can have a small stroll along the banks of the river too. Agra has four ancient temples on four corners of the city. This is an ancient Hindu temple. This temple is surrounded by many markets. After a small sightseeing, you can have a Delhi or Agra styled lunch in any hotel. This is the oldest Mughal garden in the city. There is a reason to visit this garden during peak afternoon. This garden is built in a manner that it will be cool no matter when you visit the park. During hot afternoons, the breeze from the Yamuna River would cool the place. Taking a stroll in this garden is a relaxing activity. Akbar’s tomb is located a little away from other attractions. This monument is famous for its pyramidal tomb. It is the resting place of Akbar the Great. Another important feature of this monument is that, 99 names of Allah are inscribed in the walls of this monument. There are a lot of bazaars in Agra. The best place for tourist shopping is Sadar Bazaar. You can find a lot of attractive souvenirs and other items here. It is also near to Agra Fort, your next destination. Top items to buy are leather goods, replica of Taj Mahal, Agra shoes, handicraft items, marble works, wood inlay works, antiques and marble goods. Though Agra Fort is very close to Taj Mahal, there is a reason to visit this place at the last. The first reason is that it would look more beautiful in the evening. The second reason is the light and sound show that takes places at 7 in the evening, every day. It is a heritage site with wonderful architectural beauty and interesting entertainment show. After the show, find any restaurant for a nice hot dinner before reaching your hotel or starting towards your next destination. This itinerary just included the top most attractive places in Agra. It is a large tourist area and you can stay for a week to enjoy the complete Agra. Other top destinations to visit are Fatehpur Sikri, Guru ka Taal, Jama Masjid, Mariam’s tomb, Mehtab Bagh, Cathedral of Immaculate conception, Paliwal Park and Keetham Lake. Next postDazzling Kashmir for 3 nights.